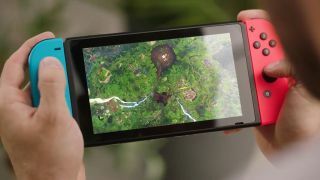 PS4 gamers hoping to parachute into Fortnite on the Nintendo Switch have probably noticed that their account progress doesn’t carry over. Well, despite the backlash from its wide player base, Sony doesn’t appear to be budging on its stance. According to a statement provided to BBC News, Sony insists that it’s “...always open to hearing what the PlayStation community is interested in to enhance their gaming experience,” though it hasn’t offered any hint of resolution for console gamers hoping to play with others. Instead, it took the opportunity to tout the admittedly impressive number of PS4s sold globally – currently hovering at 80 million. But the thing is, it doesn’t matter how big your camp is if it’s blocked off from the rest of the console gaming world. This is a bad move – during E3 2018, no less. This isn’t Sony’s first cross-platform-limiting offence, and unfortunately, probably not the last. When Rocket League came to consoles, it was the same situation. Switch and Xbox One users could play with each other, as well as PC users, but not with PS4 players. Minecraft and Paladins are a few more examples where Sony gates off its player base. To say that Sony needs to ease up on its stance is an understatement. While it certainly has the numbers to sustain a good experience for its paid PlayStation Network subscribers, it’s doing a disservice to games and their communities in the long run with its anti cross-platform position.